@BifBangPow: Big Reveals for Day 11, 12 and 13! We've got 3 days of reveals to talk about today - so let's get right to them! 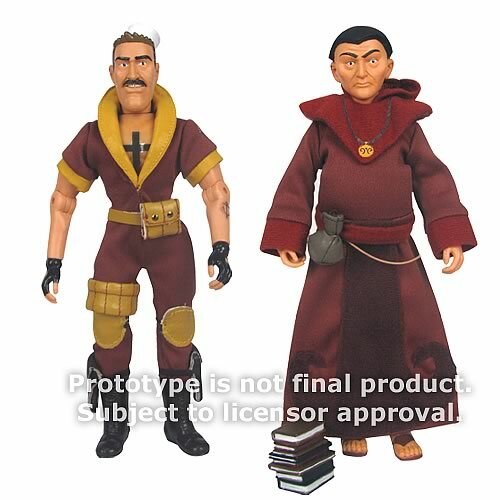 First up, the highly anticipated next series of Mego Style EMCE 8-inch action figure from The Venture Bros.! Pre-Order Shore Leave and The Alchemist! Next up? 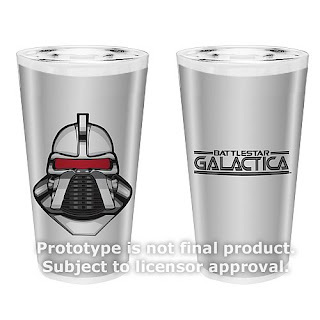 Thirsty for some Cylons? We are adding to our glassware offerings with these new 16 ounce pint glasses featuring our newly designed Cylon Centurion artwork. 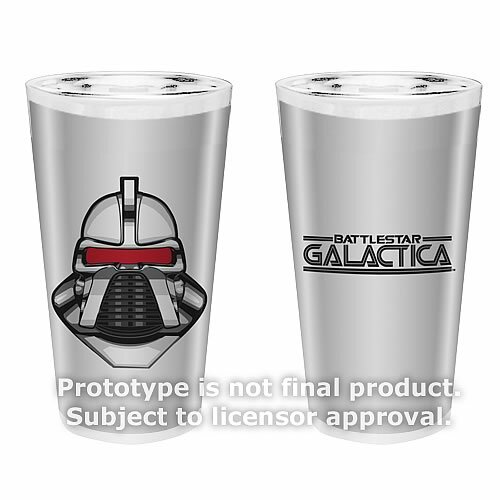 Order your Battlestar Galactica 16 oz. Glass Set of 2 today! 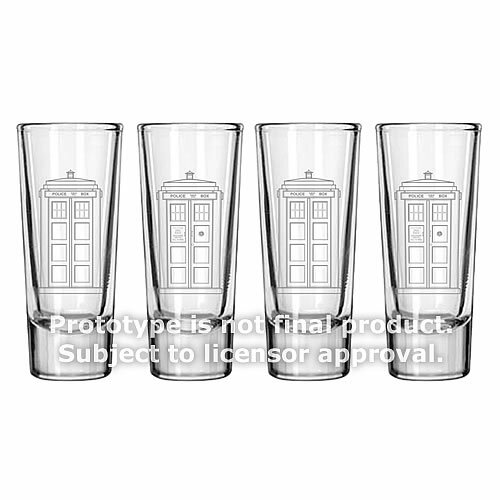 Continuing the fun, check out more glassware from Doctor Who! Today we showcase more of our etched style of glassware in our 2 ounce size. 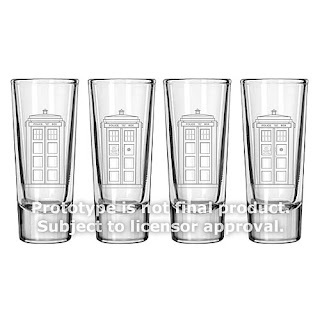 Pre-order Doctor Who TARDIS Etched Look 2 oz. Glass Set of 4 today! Cheers! Labels: Battlestar Galactica, BSG, Cylon, Doctor Who, TARDIS, The Venture Bros.